Ageless Mobility - a highly effective health and fitness program designed for people of all ages and fitness levels. Whatever your level of fitness or health, you will benefit enormously from Ageless Mobility. This Health First approach to fitness, emphasizing "prehab" and "post rehab", has been successfully used by thousands of people around the world. 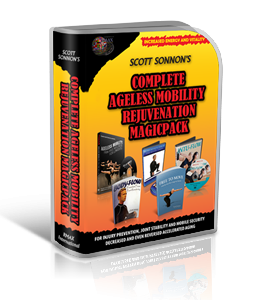 Discover for yourself the real meaning of Ageless Mobility.